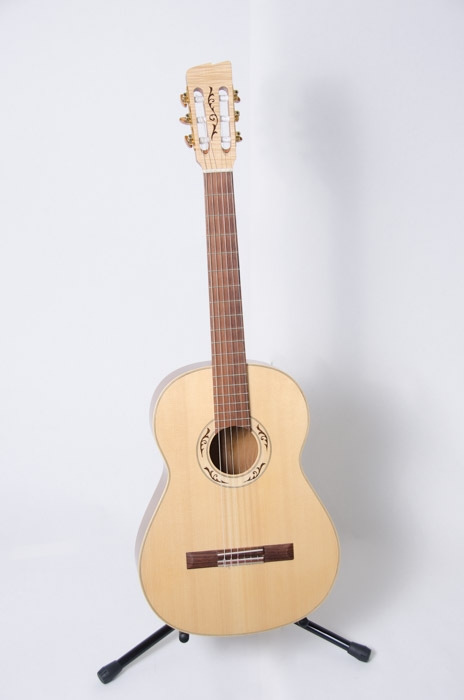 Welcome to the website of Jan Zonjee guitars. 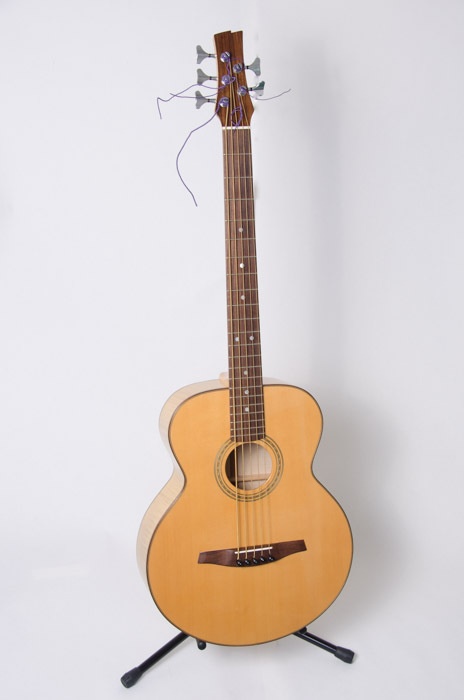 I’m a Dutch guitarmaker, making several types of guitars, classical-, flamenco and steelstring, as well as ukuleles and other fretted instruments. 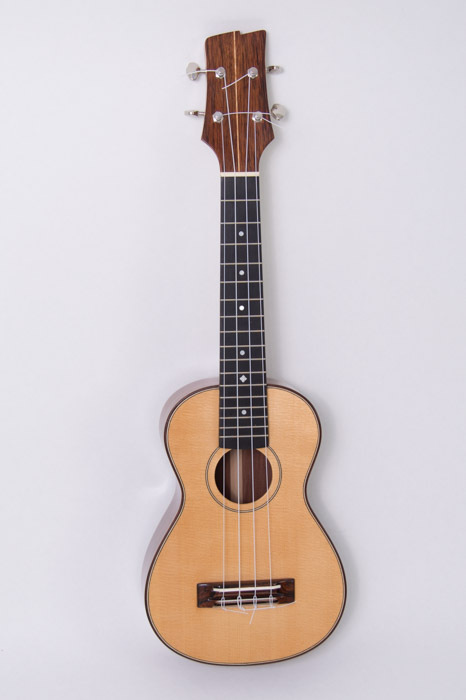 I play the guitar since I was young and I made my first stringed instrument -a kind of cigar-box uke- together with my grandfather when I was 9. It took 35 more years before a made my first serious instrument, and than things went fast. I started as a full time guitarmaker in 1998. I learned a lot from my teacher Johan Rebergen in Utrecht and from several open-minded collegues. 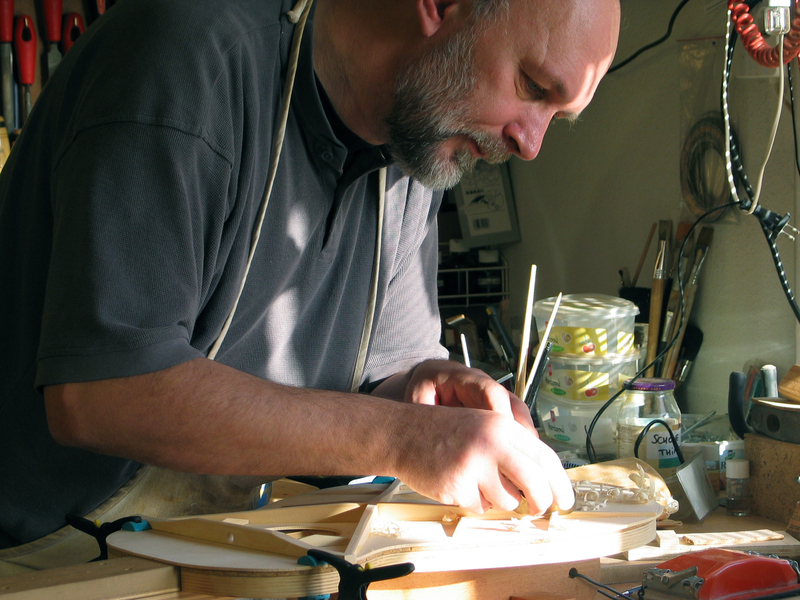 In 2008 we moved to Amersfoort were I started to give courses in guitarmaking in my well equipped workshop. If you like to see what we are doing during the courses, I invite you to visit “De Gitaarmakerij”, though this website is only in Dutch language. I enjoy working together with my students and apprentices, old and young, who invite me to explore a broad series of instruments and give me the opportunity to learn from them. You’ll find information about the instruments I make on 3 different pages: “Concert&flamenco-guitars” , “JM-guitars” and “Odd size instruments“. 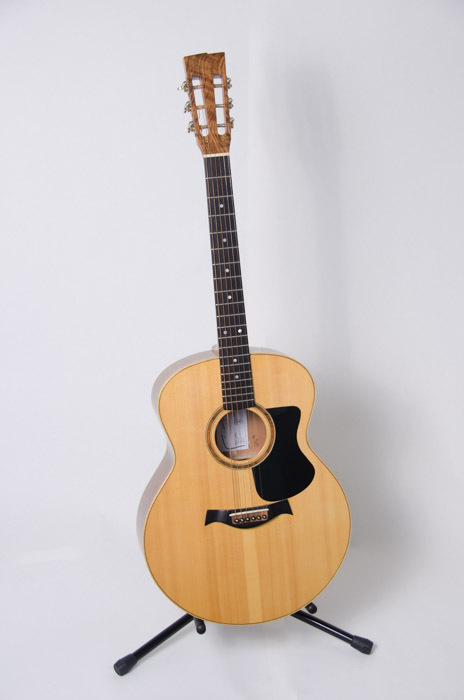 For the The JM-series I work together with Michael van Kolfschooten, who is a fine guitarplayer and luthier. His expertise on steel string guitars contributes a lot to the sound and playability. In the recent years I started to explore the world of cross-over instruments and odd size guitars. Some of those are made together with or by Dutch luthier Ahmad Mahmoudi, who was born in Teheran. I prefer to use European tonewoods for most of my instruments and try to avoid the use of scarce tropical hardwoods, not only for reasons of sustainability. I love the sound of instruments out of Walnut, Pear, Cherry, Sycamore, Cypress etc.. 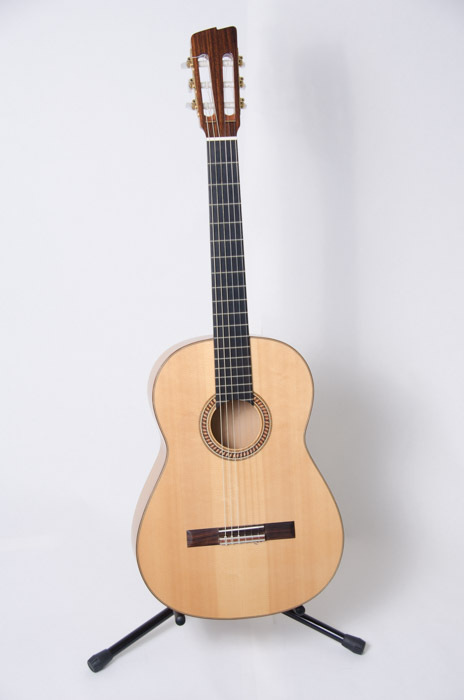 But since customers of classical concert-guitars still prefer tradional Rosewood I have to compromise now and than.